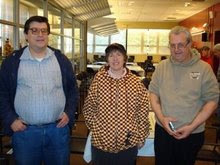 Here is a press release, dated 1/29/2009, from the Marshall Chess Club. 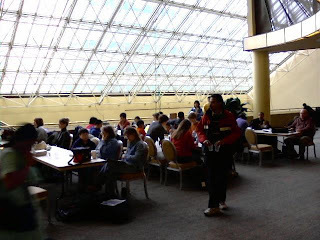 The first International Symposium on Bobby Fischer will take place on March 6th and 7th at the world’s most famous gathering place for chessplayers, The Marshall Chess Club. 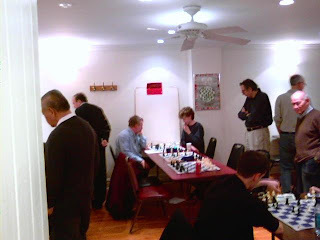 Bobby Fischer (1943-2008) often competed at the Club, and it was there that he played his most startling “Game of the Century.” The event is sponsored by the Marshall Chess Foundation, a non-profit organization that promotes the game though tournaments, instruction and scholarships for juniors. “The point of the Symposium is an attempt to understand the enigma of Bobby Fischer,” said Dr. Frank Brady, president of the Marshall. Two philosophers, a Grandmaster, a biographer, and a player who once beat Fischer, will be among many of those who will present papers, or share reminiscences of Fischer, possibly the greatest chess player who ever lived. A book company is planning to publish the proceedings in hard-cover. Combined with the Symposium, there will be a display of some of the documents, letters and other ephemera that make up the Fischer Archive, a newly-acquired trove of thousands of items, recently donated to the Marshall Chess Foundation. The event is open to spectators, free of charge but a donation may be made to the Foundation. Presentations will be made on Friday and Saturday, March 6th and 7th from 1PM to 6PM. For further information on making a presentation, or as a spectator, contact Dr. Frank Brady, bradyf@stjohns.edu. 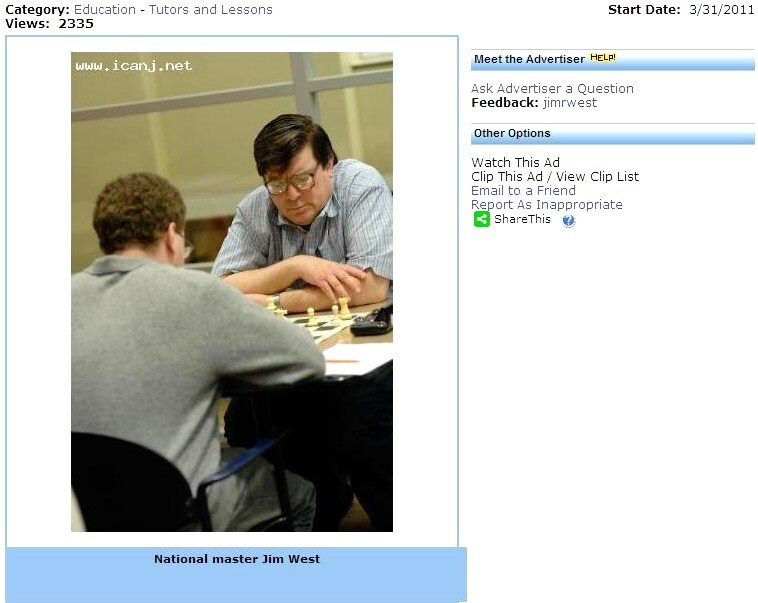 Last June, in the chess column of the Telegraph, a couple of wins by Black in the Fajarowicz variation were featured. Here is a game where Garry Kasparov played the white pieces against the Fajarowicz variation. 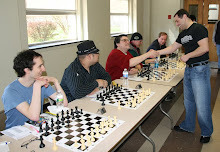 Fellow chess blogger Diamondback has asked me to look at his game against Sal Geraci, played at the Hamilton quads on Saturday. Diamondback wants me to find a quicker win for Black, but unfortunately he was busted in the opening. From the diagrammed position, White should have played 7.Bxf7+ Kxf7 8.Nxe5+ with a winning attack. Alejandro Melchor of Barcelona has e-mailed these games in the Fajarowicz variation where Black plays 4...d6. On Saturday, I snapped these photos at the Hamilton quads. 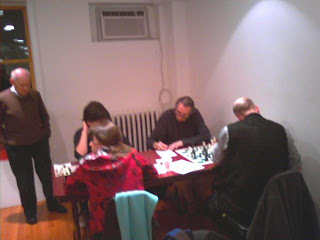 The first two pix show the top quads, including national masters Dragan Milovanovic, Mark Kernighan, and Boris Privman in quad one, as well as candidate masters David Grasso and Jennie Liu in quad two. Pictures three and four show the lower quads. In yesterday's quads at Hamilton, I tied for first place in quad one with a score of 1-0-2. As you will see, I should have lost in round three but benefited from mistakes that were made in a mad scramble at the end of the first time control which was 40/80. 34.c3 dxc3 35.bxc3 Nd5 36.Kd2 Ke5 37.Nc2 b5 38.Nd4 a6 39.g3 g6 40.Nc6+, draw. 8.Bxc6 bxc6 9.d3 Bg4 10.Nbd2 Ne8 11.Bxg7 Nxg7 12.h3 Bxf3, draw. 57.Rb5 Rc7+ 58.Kb4 Rd7 59.Kc4 Rd4+ 60.Kc3 Rd7 61.Rb6+ Kf7 62.Rh6 Rc7+ 63.Kb4 Rc1 64.Rb6 Rc7 65.Kb5 Rd7 66.Kc4 Rd4+ 67.Kc5 Rxd3 68.Rxb7+ Kf6 69.a6 Kg5 70.Rb4 Kf4 71.a7 Rc3+ 72.Kb6 Ra3 73.Kb7, Black resigns. In regard to my time forfeit against GM Timur Gareev at the Liberty Bell Open, Alejandro Melchor of Barcelona has e-mailed these relevant games to me. Black has not had much success in the Fajarowicz variation against White's plan of 5.Qd5 and 6.Bg5. 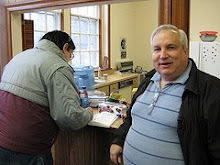 At the Internet Chess Club, grandmaster Boris Alterman has a video on the Philidor Counter Gambit. 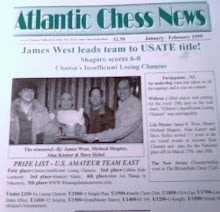 In the January-March 2006 issue of Atlantic Chess News, I reviewed the Biography Channel documentary on Bobby Fischer. It can be seen here in five parts: one, two, three, four, and five. If not for single-digit temperatures on Friday and Saturday, I might have met Barack Obama! I missed the president-elect by 24 hours. According to reports, Obama stayed at the Sheraton City Center Hotel on Friday night and worked out in the gym on Saturday morning. My original plan was to play in the four-day schedule at the Liberty Bell Open. Because of Arctic weather conditions, I reconsidered and decided to play in the two-day schedule instead. 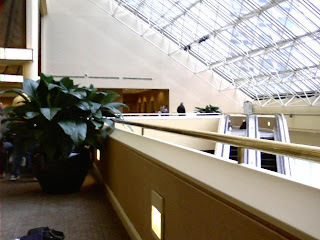 By Sunday morning, the temperature had risen twenty degrees, although I still drove through snow and rain on the New Jersey Turnpike on my way to Philadelphia. In round two, with an accelerated time control of game/40, I lost this game on time forfeit to grandmaster Timur Gareev who won the tournament with a score of 6 out of 7. When I got home, I could not find Gareev's 5.Qd5 and 6.Bg5 in Tim Harding's The Fighting Fajarowicz. Maybe I should have tried 6...Qd7. 15.h4 h6 16.Rh3 Qf6 17.Bf3 Ne5 18.Nd5 Qd8 19.b3 Nxf3 20.gxf3 Re8 21.Kg2 Ne6 22.Rd1 Nxd4 23.Qxd4 Re6 24.h5 Bh7 25.Rg3 f6 26.Nf4 Re5 and forfeits. 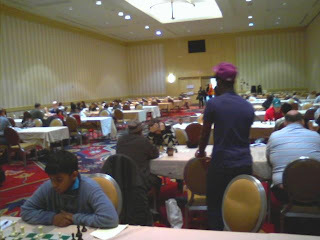 These are pictures that I took on Sunday at the Liberty Bell Open in Philadelphia. IM Emory Tate defeated Greg Nolan, while NM David Sherman bested Natasha Christiansen, in round one of the two-day schedule. This is Deepak Aaron during his first-round loss. 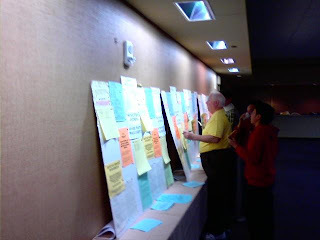 TD Ernest Schlich posts results to the wall charts between rounds. 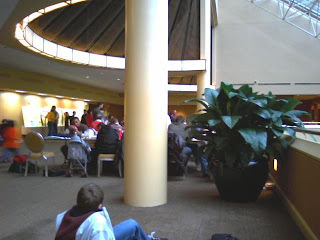 Meanwhile people relax in the skittles area on the third floor. Here is the proverbial potted plant. 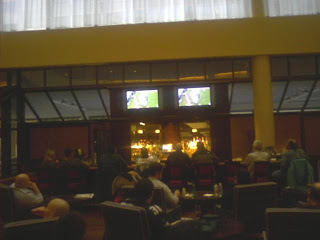 Downstairs at the Sheraton City Center Hotel, sports fans watch the hometown Eagles lose to the Cardinals in the NFC championship game. Playing in the two-day schedule, with a time control of game/40, I drew this game yesterday at the Liberty Bell Open in Philadelphia. 36.cxd5 Nd6 37.Kb3 Ra5 38.Rxa3 Rxb5+ 39.Kc2 Ne4 40.Be1 Rxd5 41.Re3 Nf6 42.Re7+ Rd7 43.Rxd7+ Nxd7 44.Bc3 g6 45.Kd3 Kc6 46.Ke4 Kd6 47.f5 gxf5+ 48.Kxf5 Ke7 49.Kg6 Kf8 50.Kh7 Kf7 51.Bg7 Nc5 52.g4 Ne6 53.Bh6 Kf6 54.Be3 Ng5+ 55.Kh6 Nf3, and draws. 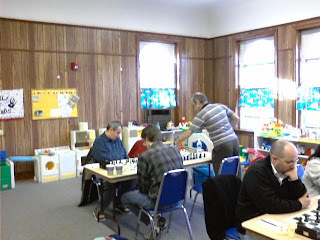 Yesterday, in a game/60 Swiss at the Marshall Chess Club, I finished with a score of 2-1-1. Here is the drawn game. 11.Bb2 Ng6 12.h3 Bxf3 13.Qxf3 h5 14.b4 Nh4 15.Qb3 Bg7 16.g3 Ng6 17.Be6 Ndf8 18.Bc4 Nd7 19.Be6 Ndf8 20.Bc4, draw. Now that astronaut Greg Chamitoff has reacclimated to life on Earth, he has resumed his game of chess against the students at Stevenson Elementary School. 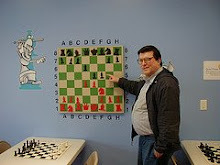 At his Contre Gambit Philidor blog, Frederic Fournier displays many of his games in the Philidor Counter Gambit. Review of "White King and Red Queen"
Recently Daniel Johnson's White King and Red Queen was reviewed in The Washington Times. Well, it was not a big surprise Vishy Anand beat Vladimir Kramnik in Bonn, Germany. Although I was rooting for Kramnik, I do admit Anand was slightly favored before the match. Only his psychological frailty, a stigma left over from his 1996 WCC match with Kasparov, precluded him from being the odds on favorite in Vegas, even if the pundits were too proper to say it. Over the years I have become a big Kramnik fan. Although I rooted for the ‘old man’ in the 2000 WCC match, I was amazed how Kramnik boxed Kasparov’s ears off. The ex-champ later repeated what tired old fighters say after losing, “I just couldn’t get my punches off.” Two wins and one Berlin Defense later, Kramnik was world champion and Karpov’s successor as the boa constrictor of positional chess. Kramnik’s decision not to give Kasparov a chance for revenge reminded everyone of the Alekhine and Capablanca dispute that deprived chess of a monumental rematch. Luckily for Kramnik, two matches against Leko and Topalov restored his sporting reputation. Kramnik showed guts in coming back to tie Leko, and by beating Topalov in Toilet Gate the Russian bear turned into a Russian prince. Kramnik also carried himself with amazing grace when he accepted the decision to forfeit a point, almost costing him the victory. In Elista, if Topalov destroyed his sporting reputation, Kramnik’s came full circle. Newly married to a gorgeous French journalist, in revitalized health, trim and fit, and playing to his full powers, Kramnik reminded me of Capablanca in his heyday when he was the Rudolph Valentino of chess. Vishy Anand is one of the most popular players in the world. 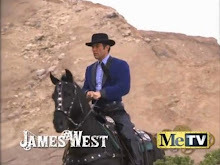 He is warm, and well-rounded, and one of the game’s greatest natural talents. He excels in all chess formats, and his results speak for themselves – he is a winner. With that said, he has always reminded me of other great natural sporting talents who didn’t quite live up to expectations. I am dating myself, but names like Ilie Nastase, Barry Bonds Sr., and Lanny Wadkins come to mind. These were sportsmen who had such natural talent they never had to work hard at being great; they just were. They reached significant heights of success but never reached their full potential. For whatever reason, call it laziness, a lack of toughness, arrogance, or emotional focus, they had psychological underpinnings that were not made of cement. Anand has risen to the summit playing dazzling chess with countless tournament victories. Yet I cannot imagine him winning a 24-game match against any former world champion except for Steinitz and Euwe. 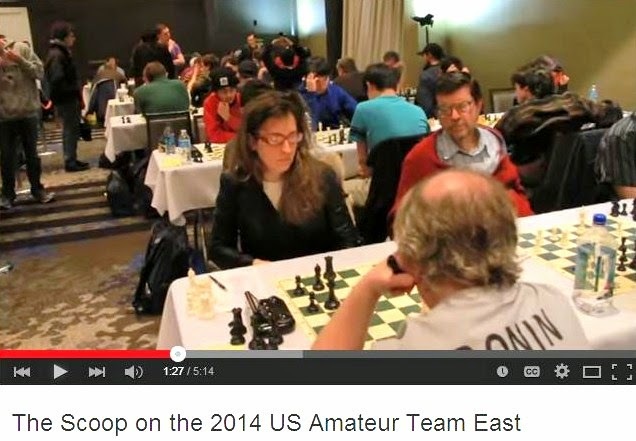 I have strong doubts he would be able to beat Keres, Korchnoi, Short, Kramnik, or Topalov. I would have taken reasonable odds that, if the recent match with Kramnik was 24 games long, Kramnik would have eventually broken Anand down to win. Does this mean Anand is not a great chess player? No. He is a great tournament chess player, but not a great match player, and winning one 12-game match doesn’t change my opinion. Roberto Duran was a living legend, but quitting in the famous ‘No Mas’ match against Sugar Ray Leonard tainted a reputation forged from hands of stone. During the 1996 WCC match in the Big Apple, Vishy Anand quit on himself and his team. 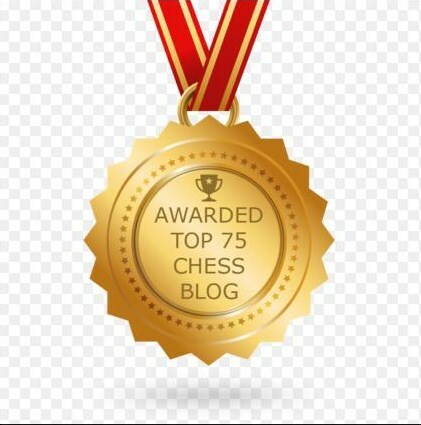 I remember a poignant order by Nigel Short’s wife to her husband before a critical game versus Speelman in their second candidates match, “Nigel, at the end of the game come out of the room with your shield or on your shield!” Anand got into a clinch with Kasparov, leaned over and whispered, “I just want to finish on my feet.” How nice. As Kasparov said, “There is something psychological there,” when assessing Vishy’s chances in a pre-match interview. 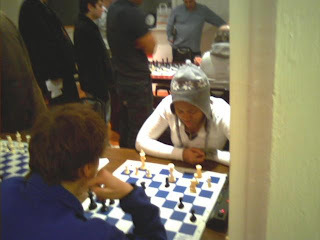 A one-act play took place in Bonn in the form of a 12-game match for the world chess championship. Both players, especially Kramnik in defeat, showed themselves to be classy sportsmen and very worthy chess representatives to the world. The coverage of the match was phenomenal with real time and live video coverage. As Boris Spassky is fond of saying it was “a festival of chess!” Unfortunately, it quickly reminded us of a World Series where one team jumps to a 3-0 or 3-1 lead or a Super Bowl when one team comes in flat and are 20 points behind at half-time. If that is what we want chess to be, then why not shorten it to 8 games (rapid tie breaks only, please) and call it a day? Let them slug it out. Let’s face it. World championship chess is no longer about epic matches. Anand is going to be a great champion and wonderful ambassador for chess. My homey, Vladimir Kramnik, will challenge again. He has heart, talent, and judging by the anguish on his face in game nine when a win slipped away he will maintain his drive. Ultimately this piece isn’t about them. It is about a one-act play. The Bonn match will be written about in chess magazines, but there won’t be a classic book written by ‘Raymundo’ Keene or Yasser Seirawan that you can curl up with for hours and re-read over the years. Titanic matches played over 24 games on a stage in Moscow or Seville are a thing of the past, thanks in great part to Kasparov’s break away from FIDE in 1993. Recent WCC matches of shorter lengths have had peculiar features. Brissago was a cat and mouse affair, and the Elista match ended when it was just heating up. Matches of 16, 18, and 20 games seem to capture the aura of a 24-game match. Korchnoi’s semi-final candidates wins in 1977 and 1981 are good examples. The 1993, 1996, and 2000 WCC matches were not fraught with drama; the loser’s form influenced that, but there are enough games for players to get in a groove or recover from a bad patch, time for drama to build and a story to develop. Maybe the success of live Internet video coverage seen in Bonn will provide revenue that far outweighs the cost of the venue, making longer matches possible. In the Wall Street Journal, Garry Kasparov opines on petrodollars and the mayhem in the Middle East. 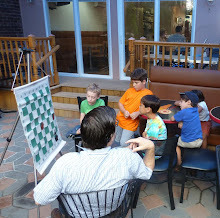 I have added Your Chess to my link list. 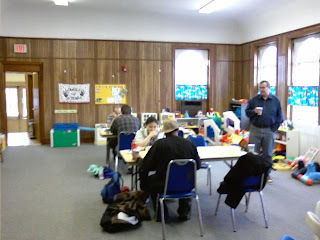 These are pictures from yesterday's NY Winter Game/45 tournament at the Marshall Chess Club. In round three, GM Michael Rohde as Black was held to a draw by Jake Miller. Meanwhile Alex Ostrovskiy drew against NM Iryna Zenyuk. Round four saw Medina Parrilla defeating Aaron Landesman. FM Asa Hoffmann knocked off GM Alexander Shabalov in the fifth round. 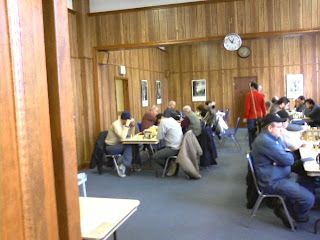 With a score 0f 3-0-2, I tied for first place in today's Grand Prix game/45 tournament at the Marshall Chess Club. 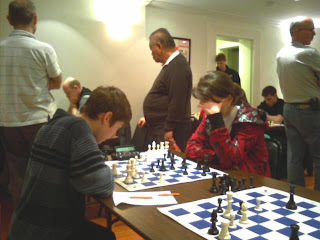 The other players with 4 points were GM Alexander Shabalov, FM Asa Hoffmann, NM Iryna Zenyuk, and FM Erez Klein. Here are my games. 31.Bg6 a5 32.a3 axb4 33.axb4 Kd7 34.Be4 c6 35.Ra1 Bc7 36.c4 Bd8 37.c5 Bg5 38.Ra7 Kc7 39.Ra8 Bd2 40.Ra4 b5 41.Ra6 Nxe4+ 42.fxe4, draw. 32.axb6 c4 33.bxc4 dxc4 34.Bf1 Rfd8 35.Bc5 Qd5 36.Rh3 Kf7 37.Be2 c3 38.Bf3 Qc4 39.Bxa8 Rxa8 40.b7 Re8 41.Qxh8 Rxh8 42.Rxh8 Bc6 43.Rf8#. 37.Kg2 Kg6 38.Kf3 Kf7 39.g4 g6 40.Bc1 h5 41.gxh5 gxh5 42.Kf4 Kg6 43.Ke5 h4 44.Kd6 Bf5 45.Be3 h3, draw. 62.Kf5 Kg8 63.Rh6 h4 64.e4 Rh1 65.Kg4 Rg1+ 66.Kxh4 Kg7 67.Rg6+ Rxg6 68.Nxg6 Kxg6 69.Kg4, Black resigns. 21.Be3 Bxe4+ 22.Nxe4 Qf5 23.Nc3 Nc2 24.Bg1 Nxa1 25.Qxa1 Qf3+ 26.Kh3 Rf5, White resigns. At my other blog Jim West Talks Chess, I have posted my victory over Richard Tuhrim in which I used a Dutch Defense formation 4...f5 against his Larsen's Opening 1.b3. Last month, Garry Kasparov was interviewed in London by David Frost. 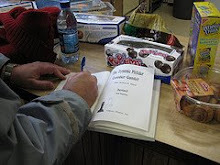 At The Chess Coroner, Geoff McAuliffe annotates his game against Lev Zilbermintz who played the Philidor Counter Gambit. 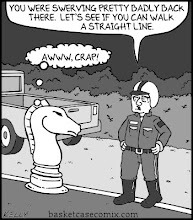 Step right this way for the Chess Blog Carnival! 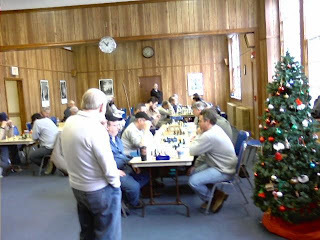 The Happy New Year Open at the Marshall Chess Club ended for me with an even score of 2 wins and 2 losses. Here is a game with many mistakes. My opponent was busted in the opening but managed to escape into a complicated middlegame, involving my two rooks versus his queen and extra pawn. Although Black blundered away a couple of pawns, my material advantage in the king and pawn ending should have been insufficient to win, due to stalemate possibilities. In severe time trouble, my opponent missed 58...Kf8 keeping his king near the corner and lost the game. 50.Kg3 Kg6 51.Kf4 Kf6 52.g5+ Kf7 53.Ke5 Ke7 54.h5 Kf7 55.Kd6 Ke8 56.Ke6 Kf8 57.Kd7 Kf7 58.Kd8 Ke6 59.Ke8 Kf5 60.g6, Black resigns.